The opportunities to sell to the Asian consumer have never been more pronounced than they are today, and those opportunities will continue to expand and develop over the next three decades. Key to understanding and accessing this massive, dynamic new consumer market is the ability to understand the underlying tax treatments. 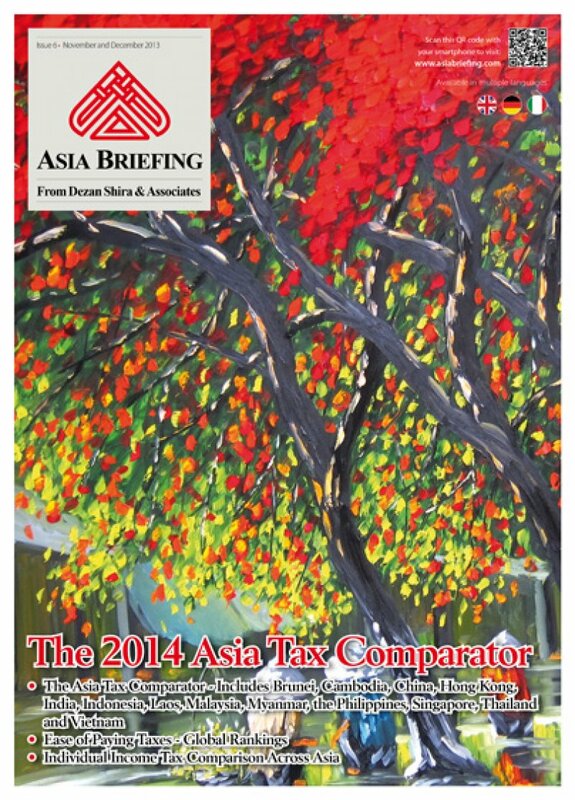 To that end, we are pleased to present our third annual “Asia Tax Comparator” as Asia Briefing Magazine’s final issue of 2013. As free trade and double tax agreements between Asian nations and other countries start to take effect globally, the impact of planning a tax efficient structure when doing business in Asia has never seemed as pertinent as it is today. In this issue, we examine the different tax rates in thirteen Asian jurisdictions – the 10 countries of ASEAN, plus China, India and Hong Kong. We examine the on-the-ground tax rates that each of these countries levy, including corporate income tax, individual income tax, indirect tax and withholding tax. We also examine residency triggers, as well as available tax incentives for the foreign investor and important compliance issues. The “2014 Asia Tax Comparator” should be read in conjunction with our Asia Briefing issue “An Introduction to Tax Treaties throughout Asia” which additionally highlights the numerous benefits that Asia’s free trade agreements, double tax agreements and bilateral investment treaties bring when actioned by the foreign investor. Our complimentary subscription facility is also highlighted on the Asia Briefing website homepage – be sure to sign up to make sure you receive every issue of Asia Briefing and our related publications.